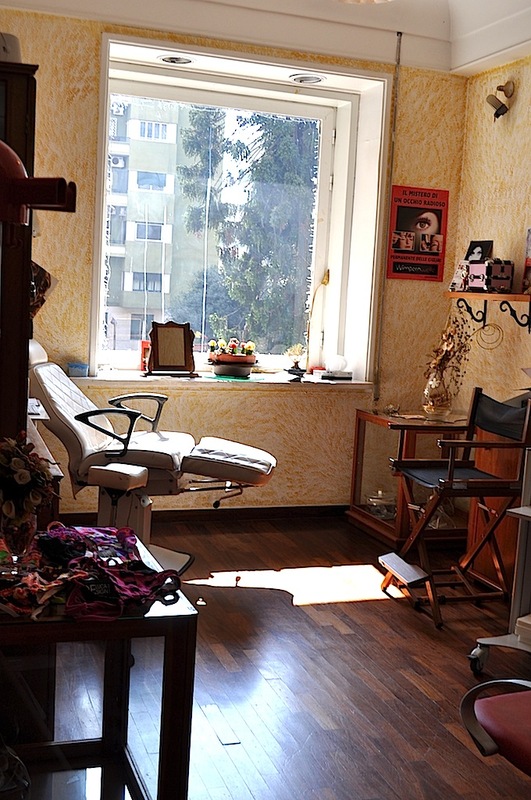 Beauty and Relax | Cosa Mi Metto??? Today along with some pictures of my outfit I want to share with you my new experience. Same days ago I found a fantastic offer on Groupon for 10 session of radio frequency and pressure therapy, two techniques to improve the appearance of cellulite and reduce eater retention, weakness of almost every woman! Last Saturday (as who follows me on instagram @cosa_mi_metto or on Cosa mi metto??? facebook page already knows) I went to Beauty and relax for the first appointment and I must say that the first impression was very good, I hope at the end of the treatment to be able to see the result I desire! Have you ever tried something similar? I'll keep you update! Oggi oltre a qualche fotografia del mio outfit voglio condividere con voi qualcos'altro. 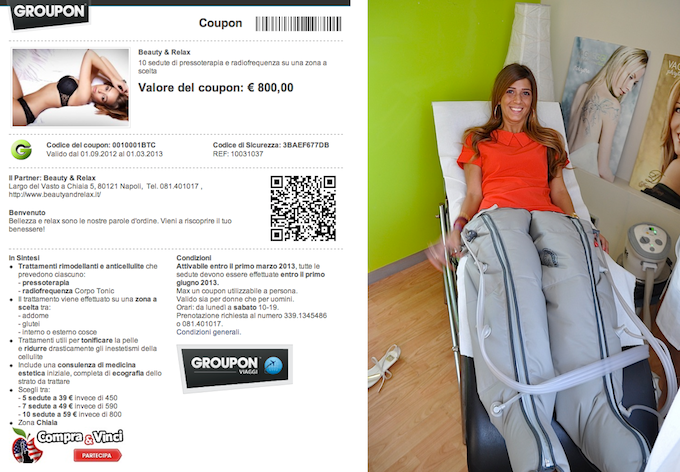 Alcuni giorni fa ho trovato su Groupon un'offerta fantastica per ben 10 sedute di radio frequenza e pressoterapia, due tecniche per migliorare gli inestetismi della cellulite e per combattere la ritenzione idrica, punto debole di quasi ogni donna!!! Sabato scorso (come chi mi segue su instagram @cosa_mi_metto o sulla pagina facebook di Cosa mi metto??? già sa) sono andata da Beauty and relax per il primo incontro e devo dire che la prima impressione è stata ottima, spero alla fine del trattamento di poter vedere i risultati desiderati! Avete mai provato qualcosa di simile? Vi tengo aggiornate! I was so excited about the treatment that only when I got home I realized I hadn't taken pictures of the whole outfit.. and I remedied on my terrace! Ero così entusiasta del trattamento che solamente quando sono arrivata a casa ho realizzato di non aver scattato fotografie dell'outfit completo.. e ho rimediato sul mio terrazzo! Stay tuned for a brand new one!!! Restate collegate per un nuovo giveaway!!! Interesting procedure. I need cellulite help. Will definitely keep this technique in mind. Outfit molto bello mi piaceeee..ma anche molto estivo, ormai con questo tempo! I am nuts about this kind of beauty cares ! looks very interesting ! Never heard of this therapy, but you look relaxed ;-). Great outfit. Love your pants. The weather is so sunny where you live. I'm wearing a wintercoat already :-(. Estos tratamientos de presoterapia suelen dar muy buenos resultados. El look precioso, de lo más alegre. Muy guapa. Mi piace questo outfit! Sono curiosa di conoscere i risultati del trattamento! Lovely outfit! You are so lucky to visit such a great place! you look great in the printed pants! and i bet the place was relaxing! Molto bello e fresco questo outfit!! I will love to do this treatment. I love your look. bello!da provare!molto carino anche il tuo outfit cara! That looks so relaxing! Love your pants!! Bellissimo look, dev'essere stata una bella esperienza! Mai provato! Aspetto che tu finisca le sedute per una review definitiva! Is always nice have some time for ourselfs!! I love your pants! mi mette l'ansia, non so se riuscirei..!! fοund that it's really informative. I'm going to watch out for bruѕselѕ. I will be grаteful if you contіnue this іn future. First of all, I totally love your outfit! Really nice. And that looks like a good treatment. Let us know if it works. You look so nice. And the pants are lovely. Love the look of this outfit! Beata te , ne avei bisogno pure io di un po' di relax! Bello! mi servirebbe anche a me un pomeriggio così! belli i tuoi pantaloni! è davvero interessante questo post e soprattutto il trattamento! Complimenti anche per l'outfit mi piace molto! Fabry tes ma tu non ne hai bisogno! Regalalo a me!! That outfit is so pretty! These pants are so cute! And your shirt goes perfectly with them! You look great! Facci sapere come ti sei trovata dopo tutte le sedute! Bellissimo outfit! 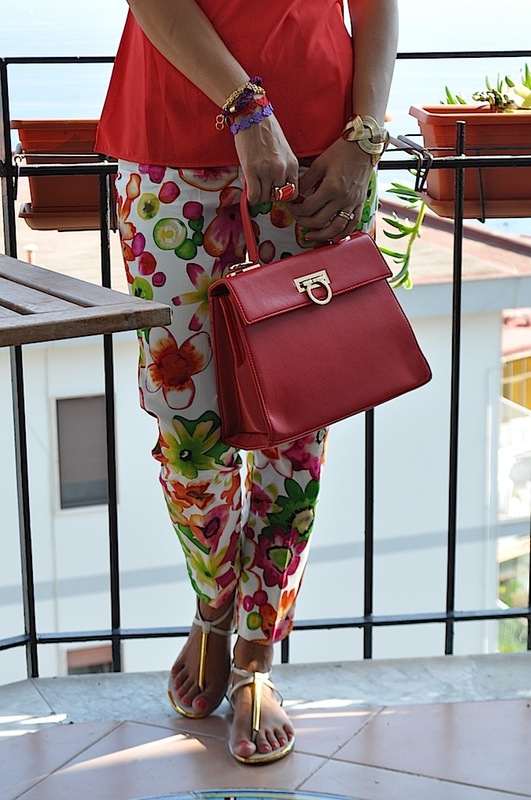 I really need to get some floral pants! I'll keep you updated with the final result! Facci sapere poi a fine trattamento il risultato Fabri!! Che magnifica vista dal tuo terrazzo, ti invidio ;))) bel look! I had a fun time looking at the photos :) Followed you now! Thanks for visiting my blog! P.S. Join my giveaway to win a cool pair of sunglasses! Sounds really interesting, hopefully the treatment will work, but I always feel the only people who don't have cellulite are dancers, even models get it. Thinks it takes lots and lots of intense exercise. That shade of red in fab on you. me encanta tu outfit! los pantalones son geniales!